Some friends of mine gave me a journal to write my thoughts during my church’s semi-annual General Conference. They made the cover of the journal white and blank, so I could have something to draw on while I listened. The main element of the journal is a shield, which other Mormons will instantly recognize as a CTR shield. CTR stand for Choose the Right, much like other Christian churches like WWJD. 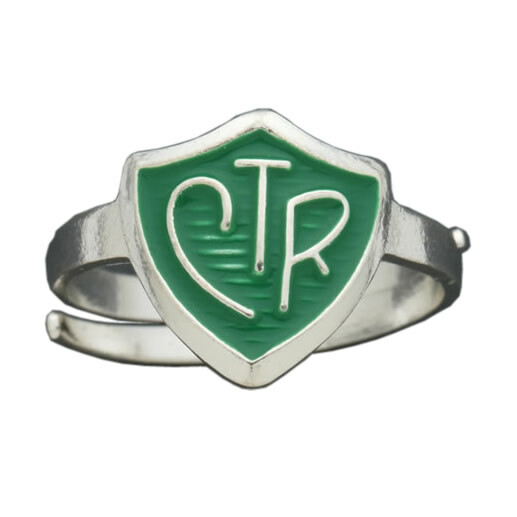 Children are given a little CTR ring like the one to the right in Sunday School, so they can have a visual reminder to make good choices throughout the day. 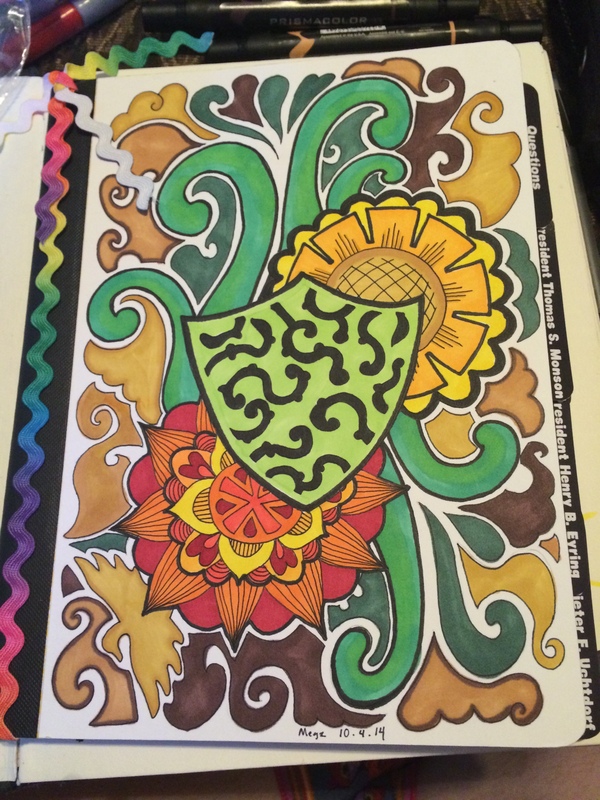 I’m not sure why the shield is green, but that is why I colored my own journal’s shield green as well. I often am struck dumb by the cuteness of the kittens. MrE is immune to them now. Even when they all cuddle together, he is unimpressed when I force him to come look. 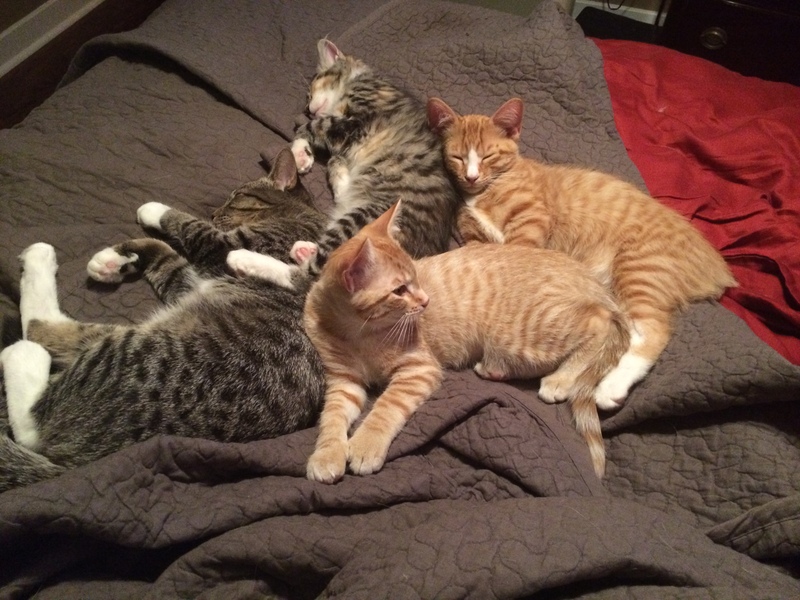 Before I barged in, they were all parallel, snuggling like little spoons in a drawer.